Tickets may be purchased as part of a SEASON TICKET package or INDIVIDUALLY. Season ticket packages for the next year are available for purchase typically in March. 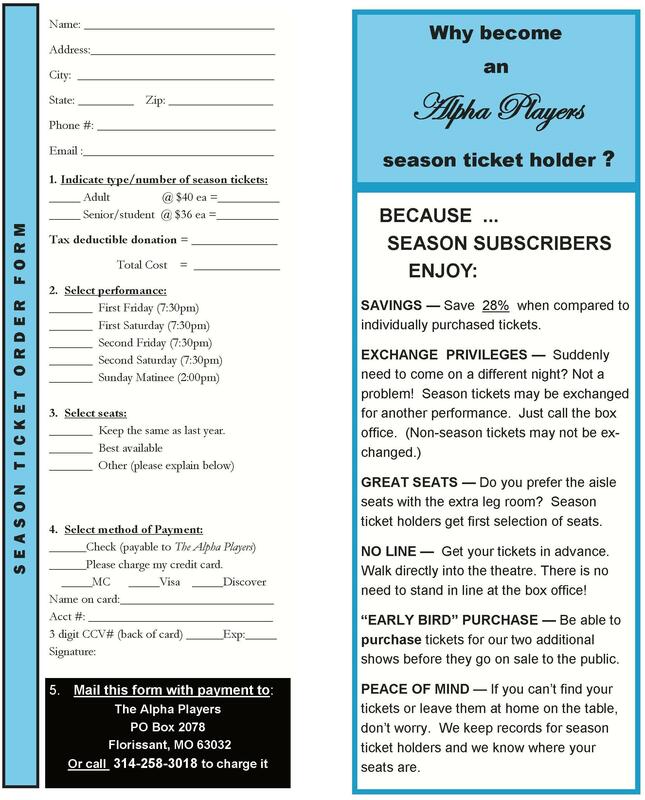 If there is a possibility that you will attend all three productions of the season, then a season ticket package has significant advantages. Season tickets will not be sold after the opening of the 2nd show. during Box Office hours or at the "Will Call"
table 30 minutes prior to the performance. 2. By going online to https://florissantmo.thundertix.com. of the tickets/receipts with you to the theatre.